Speech therapists are known to be very creative. We are able to pull activities from nowhere and transform it into very exciting therapy sessions. Just as language is everywhere, we know that we need to create opportunities for teaching language when all other options seem to have been exhausted. I still work as an evaluator for a school district in the Dallas area twice per week. Recently, I had one very interesting situation during an evaluation of a 3-year-old Spanish-speaking child. This was a non-verbal child that had been referred for an autism evaluation. No matter what cool and fun toys I had, this child was not interested in interacting with me or attending to anything that wasn’t the glowing toy we handed to him earlier on the evaluation. The child was non-verbal throughout the evaluation. He did not request anything no matter how cool the toys were. It wasn’t until I decided to pull my iPad out of the bag that I was able to finally hear some of his verbalizations and have an idea of his receptive language skills. This time, I was saved by the Pocket Pond app. 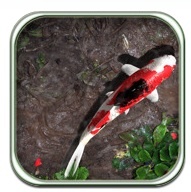 The Pocket Pond app is a free app on iTunes, which allows users to touch the water and “interact” with the fish in the pond. 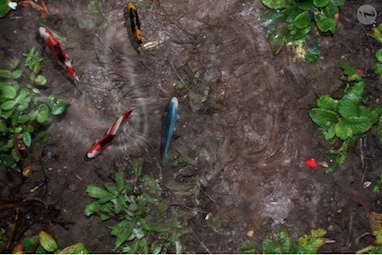 Pocket Pond has not only immediate visual stimulation in response to the touch but also very good instant auditory information that mimics touching a pond. The little one was so engaged into the activity, he laughed out loud as he touched the water. I was able to get him to take turns with me touching the water, and even observe that he followed three commands: “wait”, “sit” and “ touch it”. The most amazing thing did not come until it was time to turn off the iPad and move on. He vocalized “fish” and “agua” (water in Spanish) requesting that I turn the iPad back on. Despite having a few apps that can be used for specific speech therapy sessions, I love when I am able to find new ways of using the iPad with apps that wouldn’t otherwise be named as a “speech therapy app”. Once again, I was saved by the iPad. Do you have apps that you found it useful in speech therapy or assessment? Share your story with me. I would love to hear. Absolutely, I have numerous apps that i use with pediatric and adult population and they do save the day ..Touchy books gives you 2 free books that allow for interactions, accela study Span/Engl allows you to set up your own flashcards in both languages, life sampler, social sample excellent for autistic individuals and or head injured that have difficulties with pragmatic skills. Spanish opposites, e flash spanish, bookbox in spanish, anyway there are plenty and more to come…duck duck moose for interactive songs such as the wheels on the bus… etc.